Le Cordon Bleu Paris offers a culinary demonstration on Mexican cuisine and Yucatan’s culinary tradition. On Wednesday August 17, 2016, from 4pm to 6pm, Le Cordon Bleu Paris will welcome 2 Mexican Guest Chefs: Fernando Hernández and Eli López. 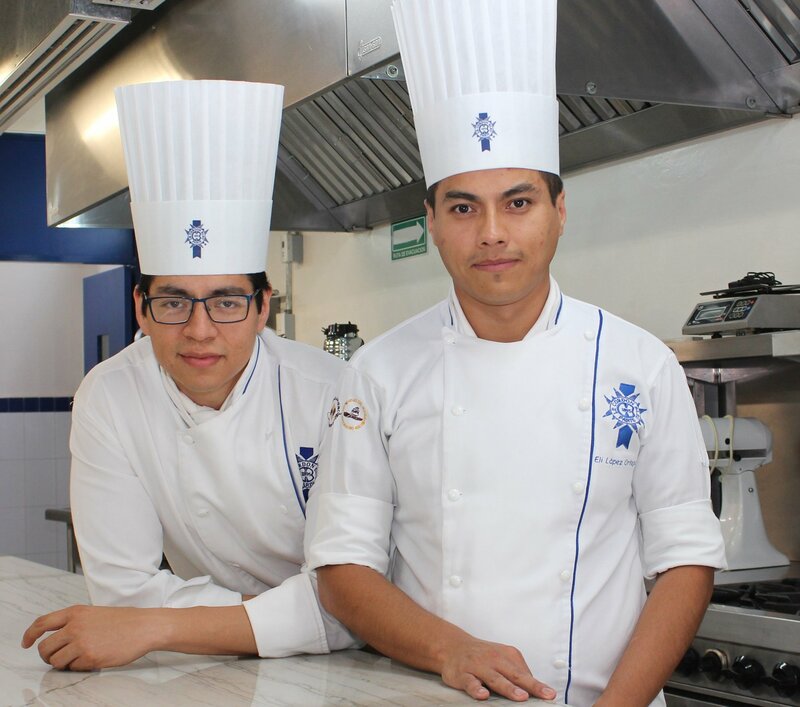 Fernando Hernández and Eli López, Chefs Instructors at Le Cordon Bleu in Mexico, at the Anáhuac Mayab University in Merida, will orchestrate this culinary demonstration with three dishes of this rich culinary tradition. Fernando was born in Mexico City. His passion for cooking began when he was 16, when he started working in catering industry for 4 years. In 2000, Fernando studied basic and advanced course training for waiters at the “Servir Bien Institution”. In 2002, he worked at the Le Cordon Bleu Casa de Francia Restaurant. In 2005, he was selected by the Turquois Fundation for a working scholarship in Montecarlo, Monaco where he studied at the Hospitality Licee and worked at the Hotel Hermitage. Back in Mexico, Fernando managed the kitchens of different restaurants. In 2010, joined a Le Cordon Bleu teaching staff member in Merida, Yucatan as a Chef Instructor. In 2014, he was semifinalist in the “Cocinero del Año Competition”, winning the best dessert. In 2015, Fernando was invited by the Mexican Consulate in Honduras to organize a Mexican Culinary Fair at the Hotel Intercontinental San Pedro Sula. Eli focused on that goal until his senior high school year when he was interested in culinary arts and decided, in 1998, to study at the “Centro Culinario Ambrosia”, one of the first culinary schools in Mexico City, belonging to its third generation. In 2002, Eli started working at the JW Marriot Mexico City looking for a position in the hot kitchen, but he got the pastry one, where he met the Chef Nigel Cook who taught him about that area and awoke Eli´s passion for it. In 2004, he worked for 7 years as the Pastry Chef at Le Cordon Bleu Casa de Francia Restaurant. In 2009, Eli participated with Kraft Company, obtaining the Record Guiness for marking the largest cheesecake created by Philadelphia Cream Cheese in Mexico City. In 2011, worked as Chef Instructor at the “Instituto de Artes Culinarias Coronado” where he discovered his love for teaching. Currently, Eli works for Le Cordon Bleu at the Universidad Anahuac Mayab as a Chef Instructor. Yucatan has one of the greatest Mexican’s regional culinary traditions. Originated and developed in relative isolation from the rest of the country, it combines elements from both Mayan and Spanish cultures. Throughout the Colonial and Independent periods of the country, maritime exchange with Europe, Cuba, Louisiana and West Indies, has enriched the Yucatan cuisine with a variety of ingredients, techniques and flavours. More recently, immigration from the Middle East, Caribbean and Asia has brought a vibrant contribution to this regional gastronomic heritage. This demonstration is full. Bookings are now closed.